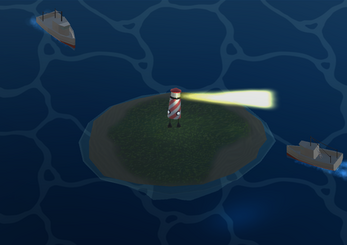 Move around the island and make sure ships don't crash into your island. But you love ships. You are so sad to see them go.